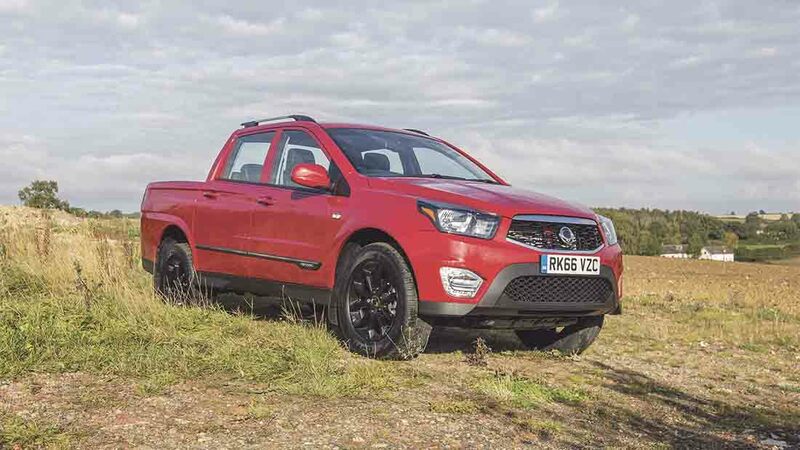 Where other truck makers are banging the down-sizing drum, SsangYong has bucked the trend with its renamed pickup, the Musso. Geoff Ashcroft reports. 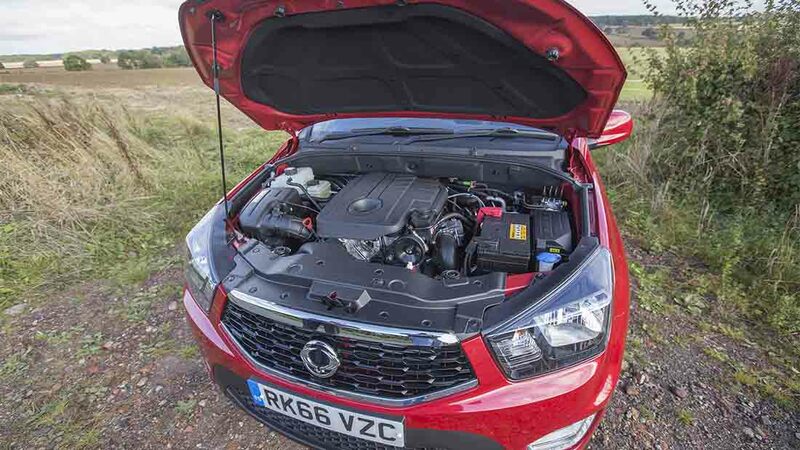 SsangYong’s Musso pickup; new name, new powertrain. SsangYong has bucked the down-sizing trend with its renamed pickup, the Musso. Along with the new badge you will now find a bigger engine, new auto box with more gears and a tweaked interior. While the cylinder count remains unchanged, the swept volume is up 10 per cent from to 2.2-litres, bringing more power and torque along the way. Musso drivers can now enjoy 178hp, up from 155hp, while torque has increased from 360-400Nm. And the benefits do not stop there. The larger engine helps the firm meet stringent Euro 6 emissions rules without the need for AdBlue, and fuel efficiency gets a shot in the arm. The 2.2 manual offers 40mpg on the combined cycle, compared to the previous two-litre model’s 37mpg. Once badged Korando Sports, and too easily confused with the firm’s 4x4 Korando car, the firm has stuck the Musso badge on its pickup to provide clear differentiation. Musso was once a car name and has better online visibility for those making internet searches, says the firm. Giving it large - bigger, 2.2-litre engine delivers more power and torque. On the open road the Musso’s added muscle now makes this truck a joy to drive. Mated to an Aisin six-speed automatic transmission, as used by Mini and Toyota, the extra ratio makes much better use of engine torque. The four-pot engine is quieter and smoother too, with a more refined power delivery which edges the Musso much closer to its mainstream European contemporaries. Choosing the auto ‘box is now less of a price jump from the manual, the gap has narrowed to £1,000. While there was not the opportunity to tow during our spell behind the wheel, the Musso is rated for a three-tonne braked trailer weight. This too is up from 2.7t and, with an increase to rear spring rates, Musso achieves the required payload to qualify for VAT reclaims. Quirky interior delivers a little more refinement. Its multi-link rear suspension still feels softly sprung and its progressive rear springs have done little to upset the comfortable ride. 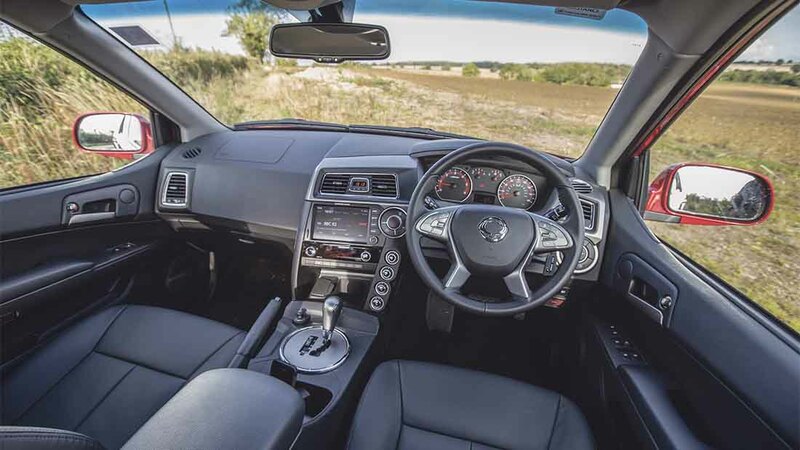 It does not fidget or thump you in the back and is a good match for Nissan’s latest Navara which boasts a similar level of ride comfort. While the interior continues to serve up a quirky mix of angles, circles and oddness, there are subtle revisions here and there to improve ambience. Disappointingly, the steering column still lacks reach adjustment. There are two trim levels to choose from; SE, easily identified with silver finished alloy wheels, and the more salubrious EX with leather trim, heated front seats, seven-inch touch-screen radio and distinctive black finished alloy wheels. Service intervals are every 12,500 miles and the firm puts a five-year, limitless mileage warranty on the Musso.